Snowflake Challenge - Day 6 - Three wishes? Day 3 - Post at least three recs for fanworks you did not create. This is a placeholder until Annual Travel is over. Cannot easily post links when on cell phone and not in a place where fannish noise on my laptop is not appropriate. Have been digging cynical night doodles (cynicaln on Tumblr) art over the past year. 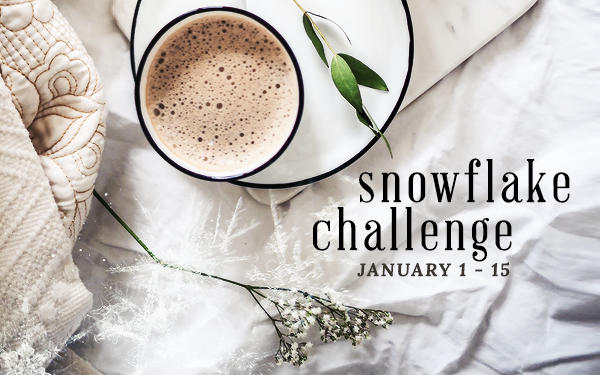 Day 1 - In your own space, talk about why you're participating in Snowflake and, if you’ve participated in the past, how the challenge has affected you. What drew you to it? What did you take away from it? What do you hope to accomplish this year? I don't think I have done this challenge in the past but I have read other people's posts in prior years. Participating will be touch and go for me because the first half of January overlaps with the tail end of annual travel but this year I am giving it a try, posting in batches whenever I can. Fandom nudged me into the habit of spending time in early January assessing goals and planning writing projects, so why not add a little bit of fandom positivity into the mix too by participating in this challenge? This challenge seems like a good way to meet new people and reaffirm connections with fandom friends. Last year I dove back into one of my original Old School fandoms -- Final Fantasy VII -- which inspired me to write and post a novella and a bunch of short fiction, do a lot of headcanoning, and partially draft a fanfic novel plus other in-draft stories, all FFVII. This year I want to organize the partial novel draft, write the chapters, and start posting it. Also want to finish and post some of the shorter stories that I started last year. Time allowing, I want to organize my various FFVII fannish stuff (headcanon, inspo, recs, etc.) somewhere on the web AND finally do my Dirge of Cerberus Metapalooza. Mostly this year I look forward to more sharing of headcanon and co-worldbuilding with other FFVII fans *and* with people who have decided to take a peak at FFVII canon merely because they find the discussion/brainstorming/creativity/characters interesting. Day 2 - Share a fandom memory. One of my favorite things about fandom is how fandom harnesses our collective creativity and makes fictional worlds feel a little more real and a little more lived in. I love the collective approach to world building that occurs when people in fandom share headcanon about a canon's characters and world. Many of my best fannish memories center around conversations with other people in which headcanon is swapped, canon extensions are co-built, and character motivations are picked apart collectively. The collective creativity is what keeps me here.